Sound research and illuminating visuals make biblical and historical times and teachings come alive for today's middle-school and high-school students as well as adult Bible students, teachers, and pastors looking for a concise overview of familiar topics. This new volume continues the valuable tradition of the best-selling Kregel Pictorial Guide series, making history easy to understand and interesting to learn. 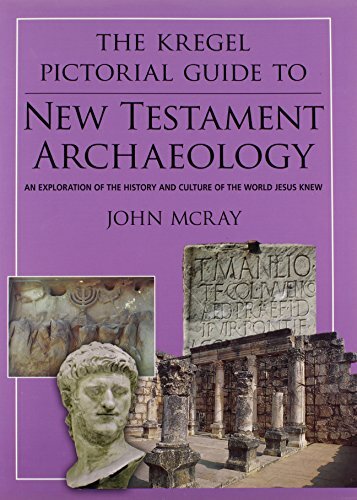 John McRay offers an informative and colorful introduction to the archaeology of the New Testament, exploring the history, culture, and social forces surrounding the development of the early church. Full-color maps, photographs, and diagrams allow students to walk through digs and discoveries in Ephesus, Athens, Corinth, and Rome, and experience the findings for themselves. John McRay is Emeritus Professor of New Testament and Archaeology at Wheaton College, Ill. In the course of a long and distinguished career Professor McRay has supervised many excavations in Israel, has acted as a consultant on a variety of media projects, has held senior posts in the field of biblical archaeology, and has written extensively. He is author of several books including Archaeology of the New Testament and Paul, His Life and Teaching.